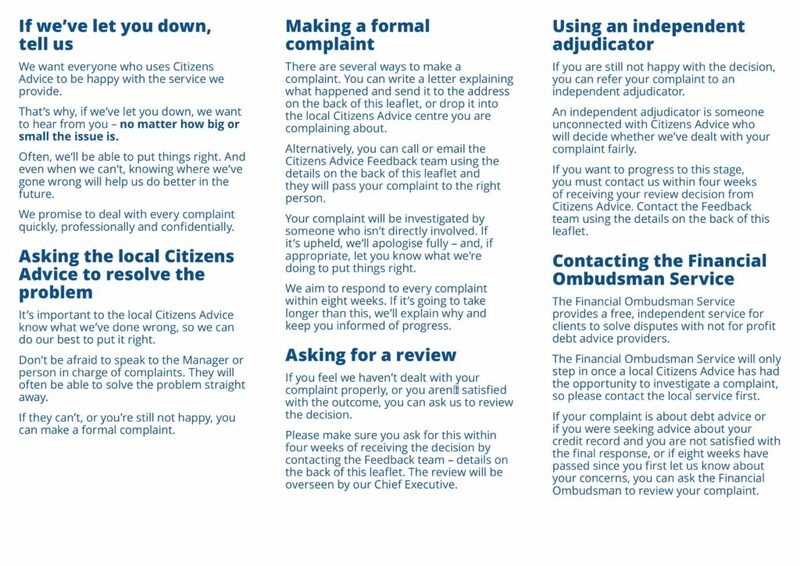 We want everyone who uses Citizens Advice to be happy with the service we provide. That’s why, if you feel we’ve let you down, we want to hear from you – no matter how big or small the issue is. Often we’ll be able to put things right and even when we can’t, knowing where we’ve gone wrong will help us do better in the future. We promise to deal with every complaint quickly, professionally and confidentially. 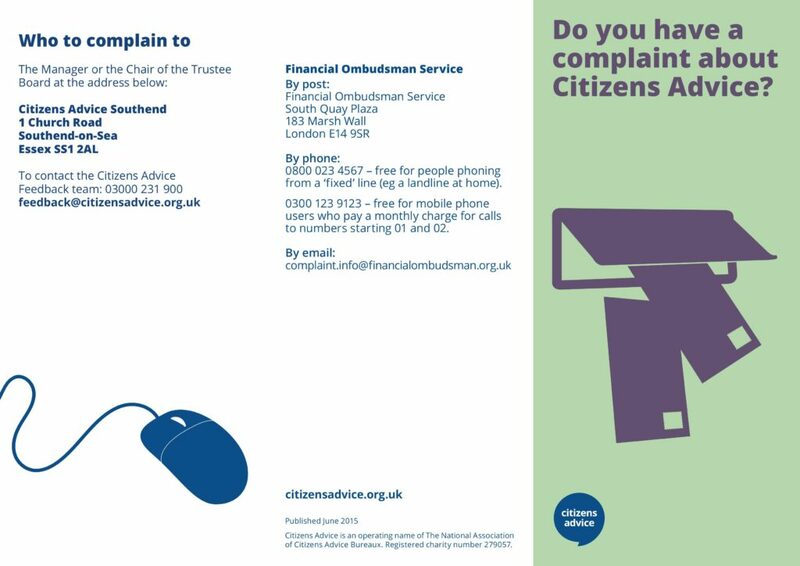 Please read the attached complaints process before completing the form below.